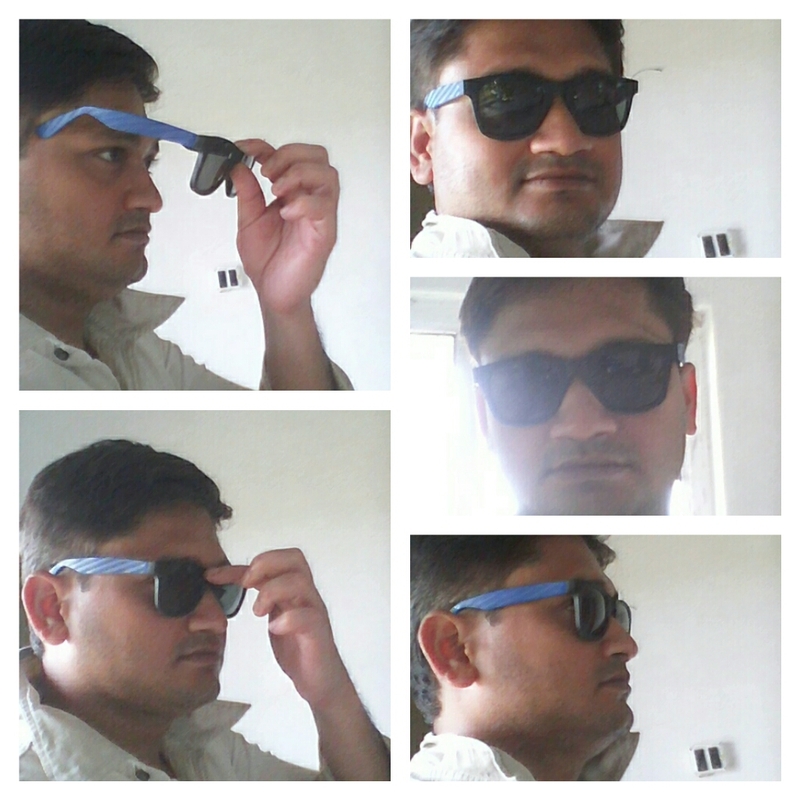 My Mom and Sis, continuously suggesting me from past two years to wear sunglasses while going outside, from last few months they started to become angry as I was not listening to them. So one day I visited an optical shop, asked for the price of the branded sunglasses and hearing the price I got Hichki….actually it did not happen. 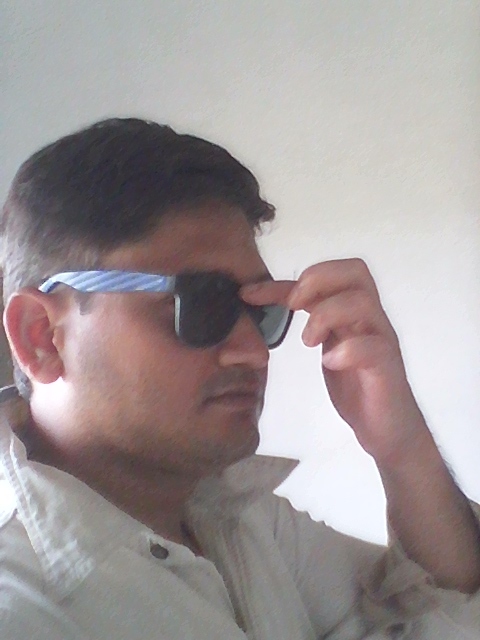 What happened is---I asked my friends and students about the average price of branded sunglasses---और price सुनने के बाद मै दुकान तक गेया हि नेही. इतनी बड्डी चीज़ है जींन्स वो भी मै Rs. 500/- से ज़्यादा हो तोह नेही खारीद ता, तो इत्ती छोटी सी चीज सांगलास 1000-2000 मे कैसे खरीदुंगा !!!!! 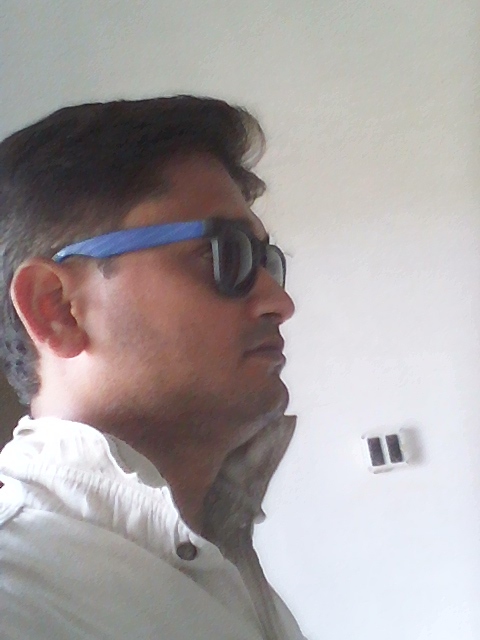 Until I decide to wear, there is no profit to bring anything for me, even I will not touch that---this is the reason my family members cannot buy anything for me. Last month Blogadda was celebrating their birthday and was gifting branded sunglasses to the winners of various writing contests, Miamiblues sponsoring the sunglasses worth Rs 2500/-. When I informed this to my Sis, she requested me to participate. 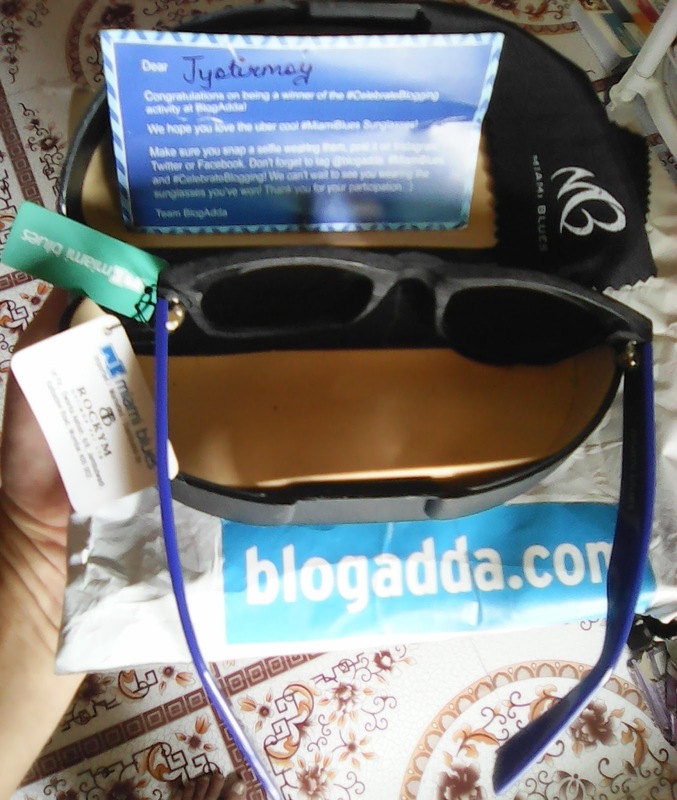 27th August 2016 ,It’s been just 9 months and 12 days in blogging and I got the good news that I have been a winner of the Blogadda prompt “Vision 2050”, for my post “India---Future Past” and just yesterday I received the sunglasses. Thanks a lot @blogadda, @miamiblues and all the readers of my blog and all those who have shared their view points in the comment section. 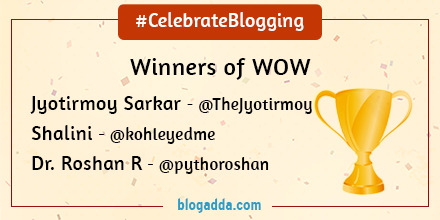 Blogadda is interested to see all the winners how they look wearing the sun glass, so they asked me also to take some snaps and post it in fb, Instagram etc.